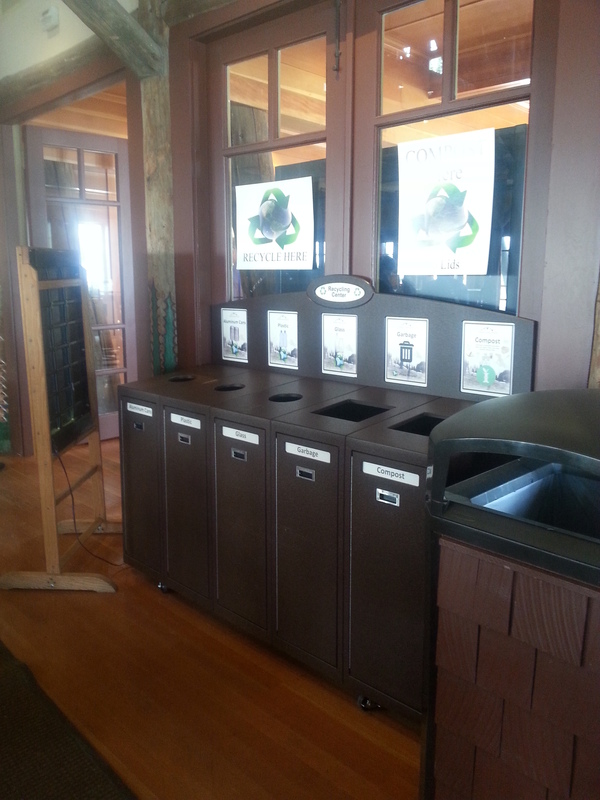 Rainier Guest Services is embracing environmental stewardship in a variety of ways. Our mission is to provide quality products and services in a manner which preserves and protects our planets natural resources. We focus on reducing our environmental footprint, reusing supplies and recycling operational products. 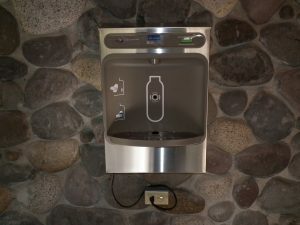 Help us reduce the volume of plastic bottle waste out of the landfill by bringing your own reusable water bottles to fill at one of our hydration stations conveniently located throughout the park. The hydration stations utilize a local natural resource and prevent unnecessary waste from plastic bottles. Reusable water bottles are also available for purchase at our gift shops. Conserve water by using sink stoppers to help minimize water waste. Reusing your towels and linens is easy; simply place the provided linen reuse card on your bed and the housekeepers will make your bed but not change your sheets. Place your towel on the rack to indicate that you would like to reuse it. If you would like a new towel, leave the dirty one on the floor or in the tub and housekeeping will exchange it. Help others in need while diverting waste from the landfill! 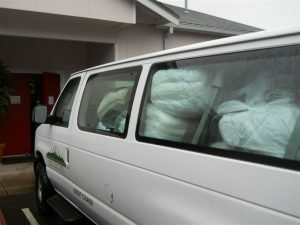 All partially used hotel amenities are donated to a local homeless shelter. 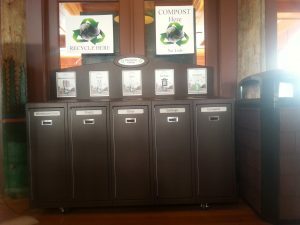 To participate, simply leave your partially used hotel amenities behind; they will be collected by housekeeping staff and set aside to be donated. 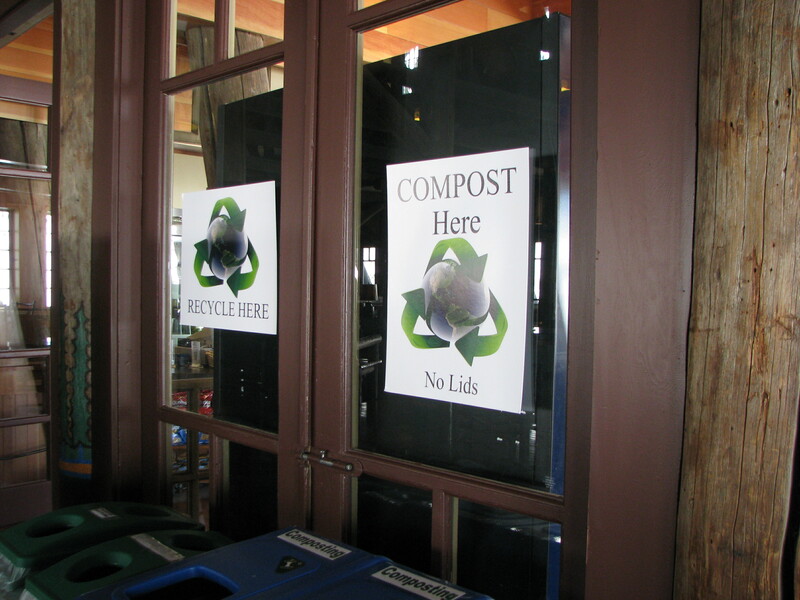 Help us keep trash out of the landfill by recycling! 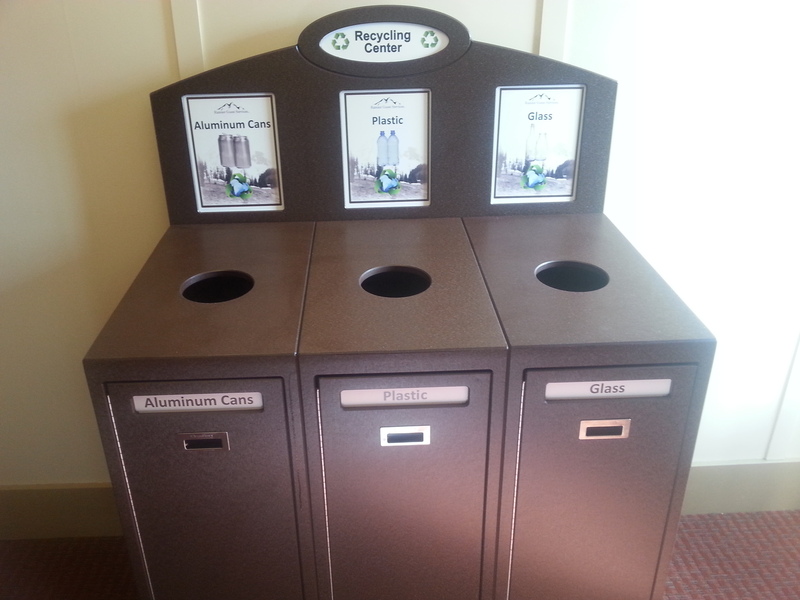 Please use our recycling stations located throughout the park and in guest rooms. Glass, Plastic and cans are recycled. If you need to dispose of batteries during your visit, you may drop them off at any one of our gift shops. These batteries are properly recycled through Waste Management’s Battery Tracker program. Practice the Leave No Trace concept throughout the Park which includes staying on designated trails, discarding trash, cigarette butts, and gum in proper receptacles. 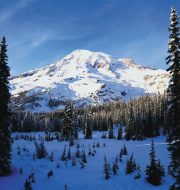 The Exhaust from idling vehicles can affect air quality and pose a health risk to the community which is why the National Park Service has a no-idling policy. Please do your part and turn off your vehicle to reduce idle time. Help out your fellow guests by adhering to the night sky program; please close your curtains after dark to minimize light pollution. 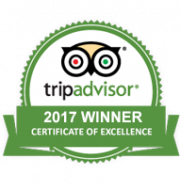 We appreciate all that our guests do to help keep our park clean and environmentally friendly! If you have a suggestion, please let us know.